When we realize that we are infected by spyware, malware or any other virus, we certainly end up with mini online antivirus tools like Prevx. And I am one of them. I got infected by malware and certainly had to rely on Prevx 3.0. Unlike other jumbo antivurs softwares, these mini antivirus fetches their updated virus database without need of downloading any information to your Computer hence saving space. This is one of the most important thing if you are considering and suffering from low disk space. But one of the bad point of these kind of software is that, once it scans your computer and detects the threats, it asks you to enter a license key to remove the virus, which requires you to purchase the license of the software from the vendor. I see many Google search redirecting to free license key for Prevx 3.0. But I am totally against this illegal thingy. But you (even me) might not be interested to invest your money for it. 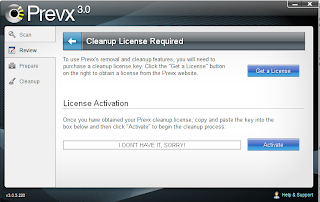 Rather I found some easy way to remove virus using Prevx 3.0. That is neither hurting Prevx 3.0 nor spending any penny. First have a look what this mini software offers in the image above. 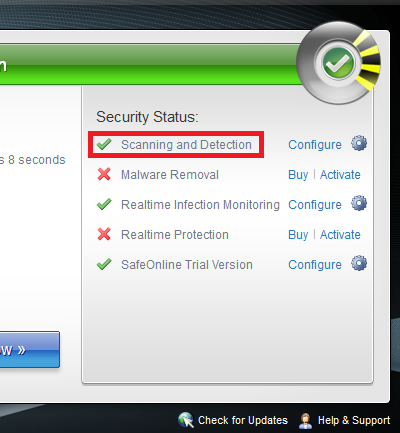 Yes free Scanning and Detection! We'll going to use this benefit from Prevx. Let's get with the tutorial. 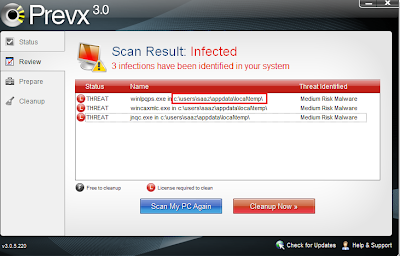 Once you get to know that you are infected with virus go to Prevx homepage and download the latest version. Run the program and let it scan. Since the virus database lies on their server it will obviously list out all the virus in your computer. 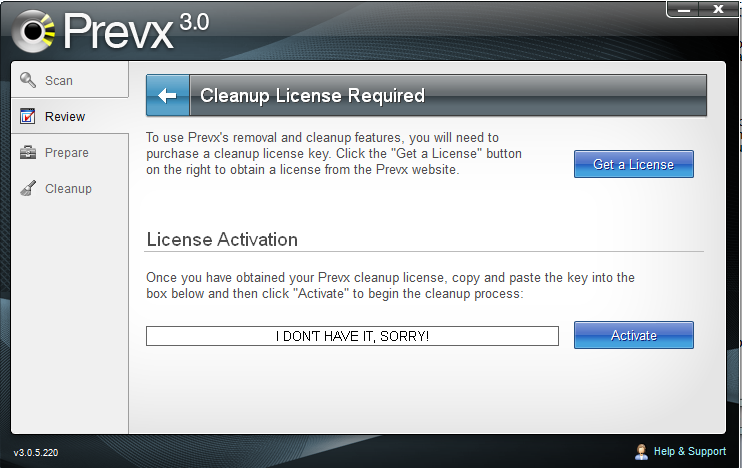 A person having basic computing might click on CleanUp Button which ends with the License Activation window. As you don't have license key, no matter how much you cry, you'll never going to get it for free legally until and unless Prevx itself provides it. So, we are not going there. 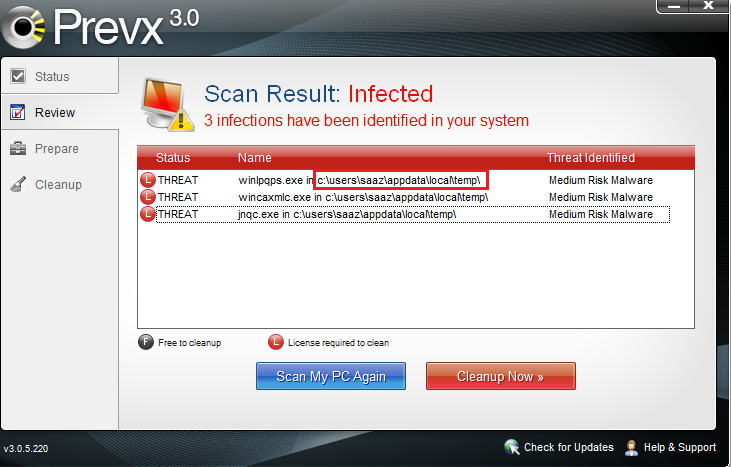 Instead note down the location of the virus file as you can see in the second image of this post. Open up command prompt window by going to Start>Run type "cmd" without quotes (make sure that you have administrator privilege). Now go to the virus location. This will show the list of visible files including the virus file. 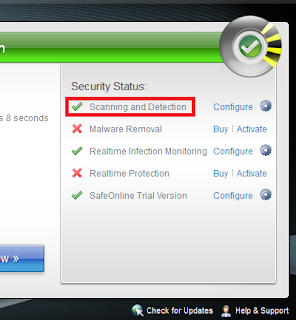 Repeat the same process for all virus and malware. This is exactly not a great solution, the great thing to do is never let any virus to enter your PC. This can be accomplished by installing latest and always updating antivirus software.